Noddy is such a timeless classic children's TV character, isn't he? I remember him from my own childhood, my teen loved him when she was a toddler and now my two-year-old son loves him too. He really is such a well-known character that everyone seems to love. Recently we were sent a remote control Noddy car to review from Spinmaster, aimed at children aged 2+ I knew that it would be perfect for my little boy to play with. 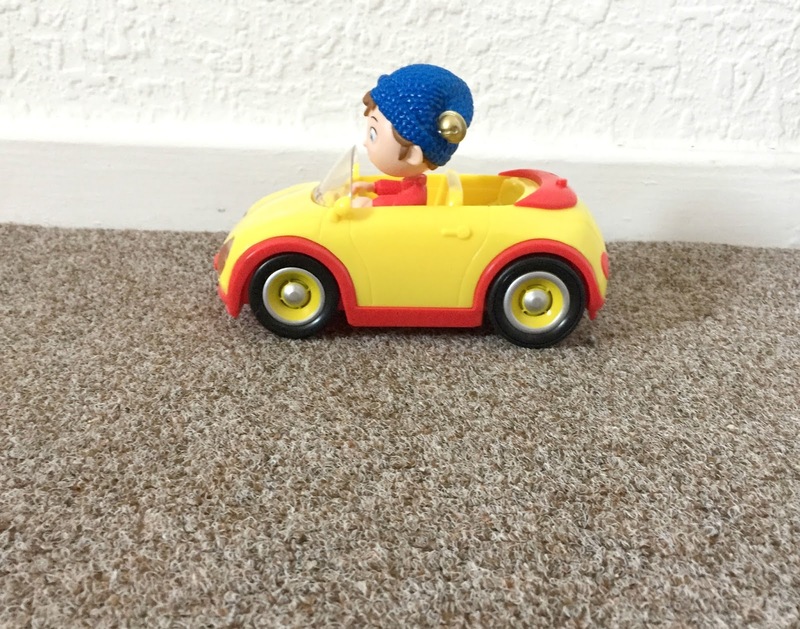 The Noddy car comes with a Noddy figure sitting in his trademark little yellow car and is instantly recognisable, it also comes with a little blue steering wheel that is just the right size for little ones to hold. The steering wheel has two red buttons that make the car either go forwards or backwards and is super simple to use. As soon as we took the car out of the box and set it up with batteries Jacob instantly knew what to do to make the car move, he was shrieking with laughter when the car started to move. He really liked that you could make the car go forwards or backwards and he loved that the headlights also lit up on the car and that it made car sounds and beeped its horn. Jacob has never played with any kind of remote controlled toy before as he is too young for a lot of them, but he really loved playing with this as did his three-year-old sister. 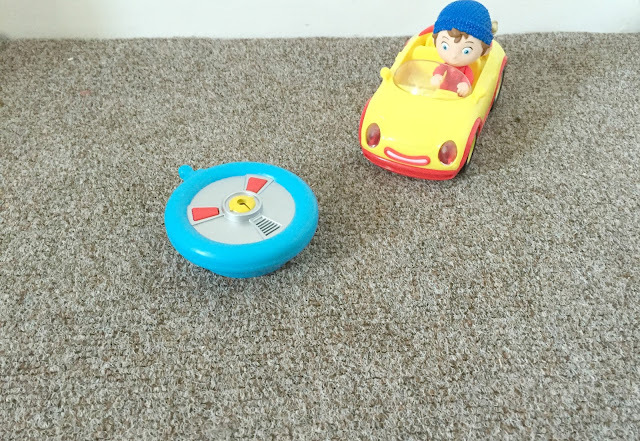 They were both totally amazed that by pressing a button on the remote control it made Noddy's car move about and they have not stopped playing with the car for the last couple of weeks. Obviously as they are both so young they are not great at steering the car and they often bash it into walls and doors etc, however the car is really sturdy and does not have a single scratch on it. 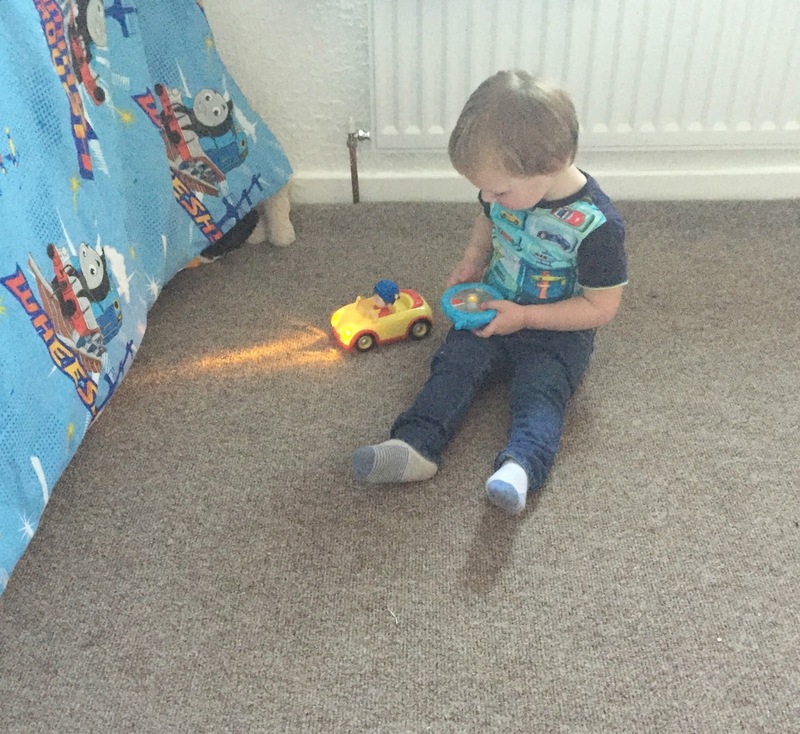 You can also use the car as a regular push along car too if you want as you can turn the remote control function off by pressing a button on the back of the car, making it a perfect all round toy. One thing to mention is that this toy does use a lot of batteries - 7 AAA (not provided), but as I mentioned my little two have played with this toy non-stop for a couple of weeks and the batteries are still working fine. 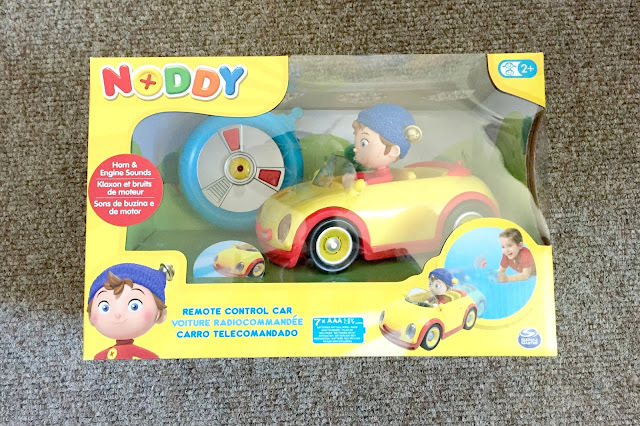 Overall I think that this is a brilliant toddlers toy, if you have a 2 or 3-year-old Noddy fan then I am sure they would love this toy, I am sure children who are not familiar with the show would like it too. Both my little ones have had so much fun playing with this car and it is the perfect first remote control car for any little boy or girl. You can buy the Noddy remote control toy from leading toy retailers, it has an RRP of £29.99 but I have seen it cheaper at Tesco and Argos so it is worth shopping around for it. 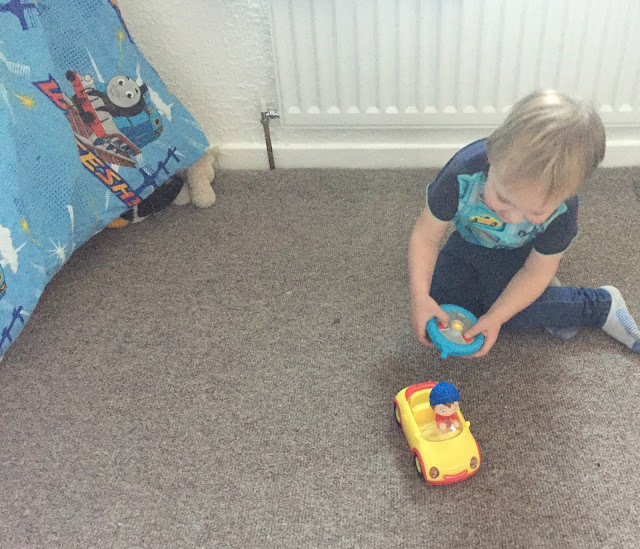 Personally, after seeing how much my son loves this car I think it is a great value and it is a fun toy I am sure he will enjoy playing with for a long time. I love Noddy and I remember watching it when I was younger! The car looks great!